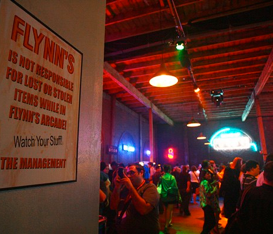 Flynn’s Arcade was so popular at the 2009 Comic-Con, that Disney and 42 Entertainment brought it back. 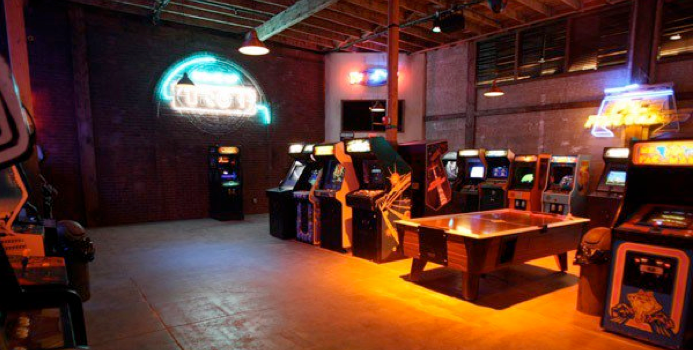 Our crew worked to get the paint of the faux bricks and cement to closely match the original Flynn’s Arcade. 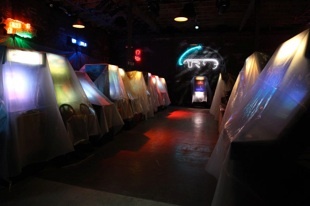 For the 2010 Comic Con, the vintage machines were covered with plastic, which mirrors the look of Flynn’s in the movie TRON - Legacy. 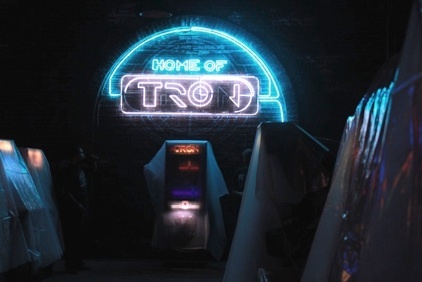 After a few minutes of checking out the “abandoned” arcade, lights begin to flash and a secret door behind the TRON game machine slowly opens. What’s behind it? 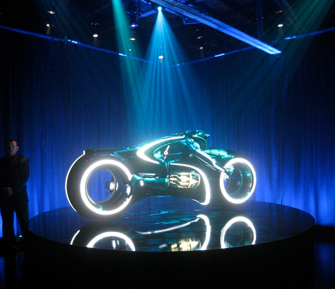 In 2009, it was the Light Cycle reveal. In 2010, guests got to see a recreation of Flynn’s Lab.